Western lowland gorillas at the San Diego Zoo Safari Park. 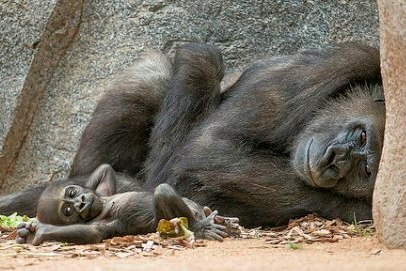 © San Diego Zoo Global. All Rights Reserved. Research assistance. Our librarians offer reference services to SDZG staff and volunteers. Please submit a request by phone (760-747-8702 x5736) or email. Research tips and tutorials. Want to make your literature searches easier and more productive? The information below can help! Are you looking for reliable information on a topic? Do you need to present it in a written report? Here are some useful guidelines. A detailed guide on how to plan and carry out a research project from beginning to end; created by the librarians at the Denver Campus branch of Johnson & Wales University. What information sources can you trust? Anyone can publish anything online! These sites give clear guidelines. Most material available on the internet is protected by copyright law, including both freely available resources and subscription databases available through the San Diego Zoo Global Library. Copyright applies even when a statement of copyright is not clearly visible on a website or other resource. The San Diego Zoo Global library upholds and abides by United States copyright law (Title 17, U.S. Code), including sections 107 and 108 governing fair use and reproduction by libraries and archives. Patrons using library resources—including copiers, scanners, and printers—are responsible for any infringements to copyright law. Cabell’s offers an independent and comprehensive platform to help researchers evaluate and select the most appropriate outlets for their work. All content is rigorously reviewed. Peer-reviewed (scholarly) journals are the gold standard for reliable information. But the recent rise of predatory publishers is leading to confusion (Bohannon 2013). Predatory publication editors accept articles indiscriminately without rigorous reviews or fact-checking. Their typical business model is to print a range of open-access journals that collect publication fees from authors. Think. Check. Submit. Choose the right journal. A cross-industry initiative informing people about how to identify trustworthy journals.